Welcome to the second post in our series, The Tao of Cash Flow: How to Master Your Business Finances. In part one, we looked at what cash flow was and why it was so important for a business. In this second post, we will look in detail at the first technique of managing your cash flow – creating a cash flow forecast. A cash flow forecast is like a budget. It sets out what you expect the flows of cash into and out of the business to be over the next 12 months. It includes projections for all your income and all your expenses. However, it is different from the budget you create for your business, because a cash flow forecast is not focused on profit, it is focused on the flow of cash. Why use a cash flow forecast? As we mentioned previously, one of the biggest causes of business failure is poor cash flow management. In other words, not keeping an eye on your cash flow and ensuring you have enough in the bank each month to pay your bills at the time they need to be paid, will mean the end of your business, no matter how profitable you are. If you are able to see month by month, how much money is in the bank, you can identify whether you have enough to pay your bills, and if not, whether to take out a short-term loan or overdraft to tide you over. Another reason to have a cashflow forecast is that you can use it to decide on the timing of any investments you want to make to grow your business. For example, you may want to buy a new van for the business or spend a large amount upfront for your marketing for the year….but can you afford to do that right now? You won’t know if you don’t have a cashflow forecast. And of course, if you do want to take out a loan, the bank or lender is going to want to see a cashflow forecast so they can be sure you’ll be able to pay it back. 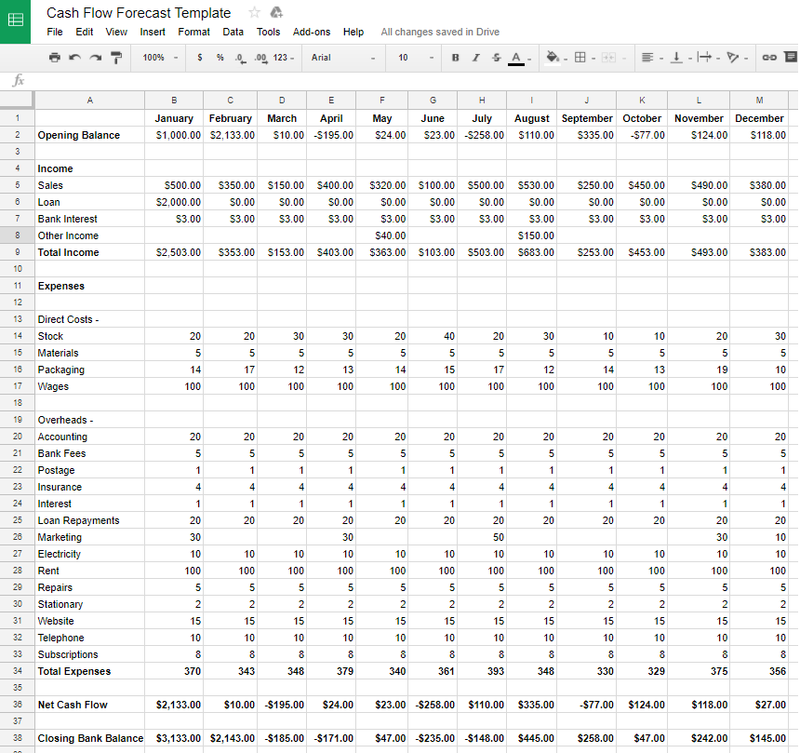 Finally, a cashflow forecast is one of the ways you can check how well your business is performing. Is it meeting expectations for sales? Are some of your expenses larger than normal? Are your customers paying on time? Knowing the answers to these questions can help you recognise issues when they first crop up and take measures to resolve them. 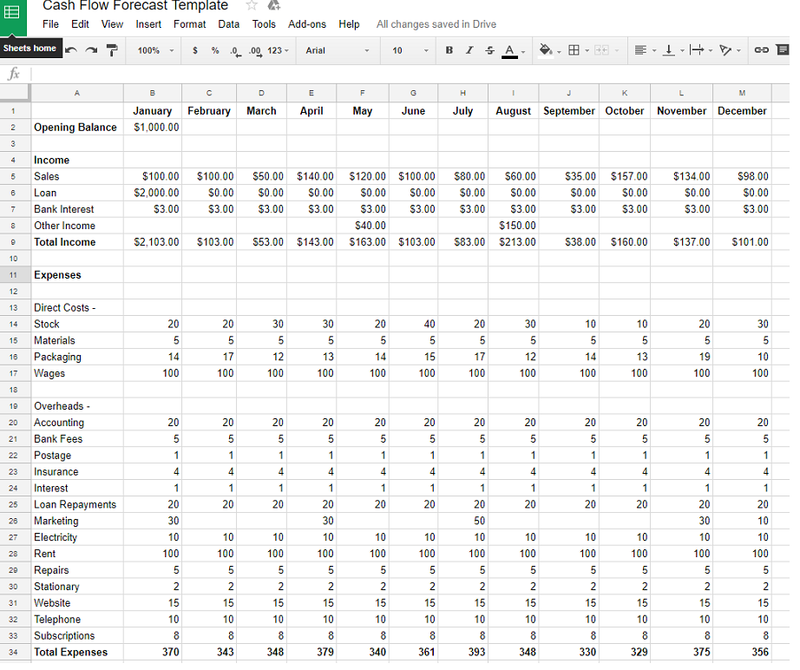 How to create a cash flow forecast? So let’s get into the main aim of this blog post – learning how to actually do a cash flow forecast. When it comes to forecasting, it is not always easy to estimate what the future is likely to bring. In order to help with this, it is important to base your figures on realistic projections by using historical evidence and real numbers. Look at your previous year’s sales, look at the conditions of the market and consider seasonal variations. If you are a new business, you may need to look around at others in the industry to find some realistic figures. If they are limited companies, you can find copies of their accounts on the Companies House website. Don’t be too over-optimistic. In our excitement, it is very easy to overestimate cash flows sometimes or choose figures we hope will happen rather than basing it on proven trends. To help combat this, it is a good idea to let your franchisor, business partner or even a friend look it over to give you advice and help with ensuring the figures are realistic. Use software. There are paid options out there such as Liveplan (which is brilliant), but there is no reason why you cannot do this on a simple spreadsheet like Excel or Google Sheets. Using a software will make the maths a lot easier, especially if you know a few basic formulae (if you don’t, just give our team a call on 0330 111 66 33 and we’ll happily give you a little free advice). And you can quickly make changes throughout the year and all the figures will be updated automatically to give you an accurate overview of what’s happening. If you don’t know the formulae then downloading a cashflow forecast template from the internet is the easiest way around this. So, let’s open up your spreadsheet and begin creating the forecast. Step 1 – Across the top of your forecast should be the months of the year, so write those in. But leave the first column blank for now. You can start with any month of the year, but for simplicity, I’ll start with January. The next row is going to be your “opening balances” line. This is the amount in your bank account at the beginning of each month. You can write in formula’s here to copy the balance’s from the end of the month back up to here, but we will explain this later. Go ahead and put in your first month’s bank balance. Step 2 – You now need to estimate your monthly sales, as well as any other sources of income such as loans, bank interest or any other money that comes into your business from any source. Don’t forget to take into account seasonal variations and changes in market conditions. If you don’t have these figures, create an estimate based on what you think you will achieve given your marketing efforts. If you are using this method, make sure you have a clear marketing plan that backs up your sales figures. A key point to remember here, especially if you offer customers a time period in which to pay, is that just because you have made a sale this month, the money may not come in until next month. And for the cash flow forecast, the sale figure must go into the month in which the money comes into your bank, not the month in which you sold the thing. This is especially the case if you offer credit. You may want to split up the sales row into cash and credit to make this easier to record. Step 3 – Now it’s time to estimate your expenses. We would advise going through your previous year’s accounts and highlight every single thing you spent. If you’ve based your figures off your best estimates instead, think about what expenses you will need to support that growth. Then add a row in for each one so that you make sure you have added in all your likely expenses. Another advantage of doing using online software is that should a new expense crop up during the year, you’ll be able to add it in simply by adding in a new line and the rest of your figures, such as totals, will automatically adjust. So go ahead now and add in your expenses. You may want to split it into direct costs (wages, stock) and overheads (telephone, rent e.t.c). Don’t forget to add in the total expenses row too (again, feel free to get in touch if you need help doing this). Step 4 – We are almost done. The final step is to add in the final few rows. These are the Net Cash Flows line and the Closing Bank Balance line. The Net Cash flows are your Total Income minus your Total Expenses. So in our example, it is the $2503.00 – $370.00. Next is the Closing Bank Balance. This shows how much is in your bank at the end of the month. If you have included everything correctly, it should match your actual bank. To work this one out, you need to do the Opening Balance which we put in at the very beginning, plus the net cash flows. So, create a new row at the bottom for this and write in the formula. When we look at the closing bank balance, we can now see if it is positive or negative. If it is positive, that is great, but if it negative, then we will need to find a way to cover the cost that month – perhaps through a bank overdraft. We will cover how to deal with these negative balances, and more, later in the series. Don’t forget to go back to the top row and add in the formula for the opening bank balances each month. This should be exactly the same as the previous month’s closing bank balance. Before we finish, it is important to remember to look at this every month and update it regularly to reflect reality. Also, try to do a new one at the beginning of your financial year so you can plan well for the year. 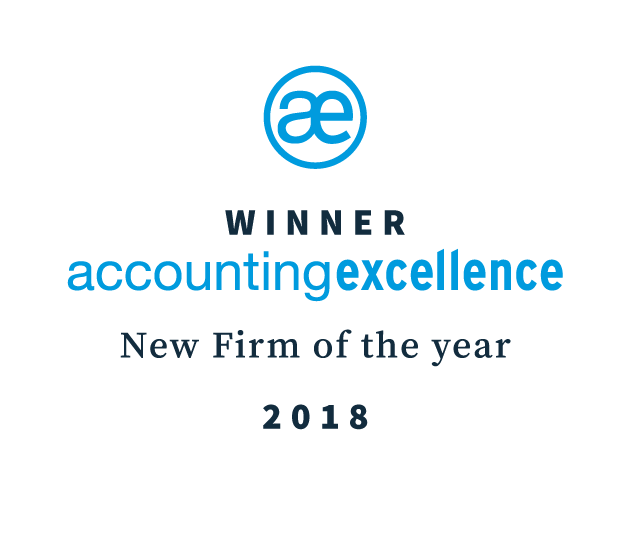 If you use a cloud accountancy software such as Quickbooks and Xero, they have a budgeting feature that you can add this data from your cash flow forecast into, and then monitor it against the actual figures during the year. So that brings us to the end of our second post on mastering your business finances, stay tuned for our next blog post in this series – how to keep track of who owes you money and who is paying late. To follow the rest of the series, don’t forget to subscribe to our newsletter. And if you enjoyed this content or found it useful, please share it on social media.